I've been meaning to do more brush posts, but since my last Japan trip one year ago I've been on a "brush diet" or "no-buy". I'm still quite smitten with the brushes I purchased at that time and new acquisitions have been few. 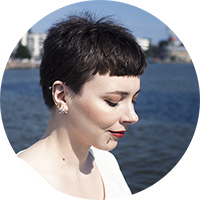 You can read here my top brush picks for 2016. 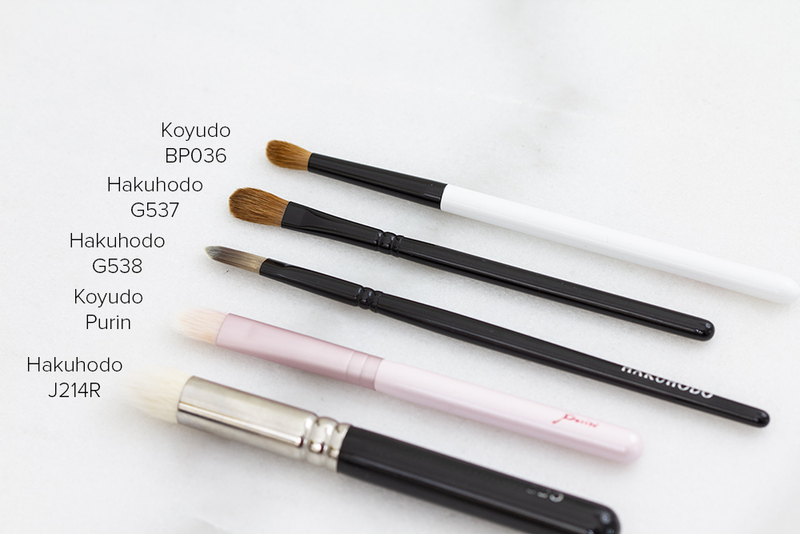 I hardly purchase brushes on a whim, but too much browsing reddit's /r/fude made me to impulse purchase a Koyudo x CDJapan collaboration blush brush with gray squirrel hair and yakusugi handle (屋久杉軸 灰リスチークブラシ). It's an unique brush and quite pricey, so I thought I'd share some pictures and thoughts. "Ancient Cedar Trees" from Yakushima Island were added to the UNESCO World Heritage sites in 1993 and registered for Japan's first World Natural Heritages. The cedar trees grow on the Yakushima island, south of Kagoshima, more than 500 meters above sea level. In general the Japanese cedar lives for about 500 years, but Yakusugi lives much longer: only more than 1000 years old cedar can be called a Yakusugi tree (屋久杉). Those less than 1000 years old are called "kosugi" (lit. small Japanese cedar). Cutting and trimming the yakusugi trees is prohibited by law. The wood used for brushes and souvenirs are from fallen down trees, naturally blown down by strong wind or a typhoon. These trees are called "domaiboku" (lit. buried trees in ground). The natural grain pattern of each brush handle is unique. Yakusugi trees contain more resin than regular cedars due to Yakushima's high rainfall and high humidity, making the tree harder to rot. As a result these trees have longer lives, but also a distinguished aroma from the natural resin. To me the scent of the handle is very mild, it can vary from handle to handle. Upon close sniffing the scent is a bit lemony-peppery, not really woodsy at all. I was hoping the scent was stronger, as I bought the brush mainly for a collector's piece. Instead of just displaying my valuable or "collector's" brushes, I do use all of them. CDJapan lists the usage for foundation (I hope they mean powder foundation), powder, finishing and bronzer. Personally I only use it for blush. The hairs are very soft, spayed a bit like a fan. I find it excellent for picking up very pigmented blushes and lightly swiping on the cheeks. The shape nor softness of the hairs isn't ideal for blending my blush, but you can nicely build intensity. Here's what the application looks like with one of my most pigmented blushes (Kevyn Aucoin Myracle). The handle is surprisingly light on my hand, very pleasant to hold. I like that the ferrule is black, creating a beautiful contrast to the light wood of the handle. What I'm not very keen about is the brush sheds quite a bit. It's natural for a brush to shed a little bit, since there might be loose hairs when the brush has been assembled; this doesn't mean the glue has loosened up. Still, I don't like finding stray hairs on my cheeks. The brush is beautiful but very much a collector's item, I don't find it necessary for everyone's brush kit. I don't have a similar brush in my collection so I'm happy to own it. If the fragrance was stronger I might hype this brush to the moon and back, but since it isn't, I'm a tiny bit disappointed. I don't regret my purchase but I'm glad I didn't go for the more expensive powder brush. To someone else the brush may be just a souvenir material turned into a brush, but personally I love Japan very deeply and love to have a piece of its natural history. Maybe some day I get to see the Yakusugi cedar trees! 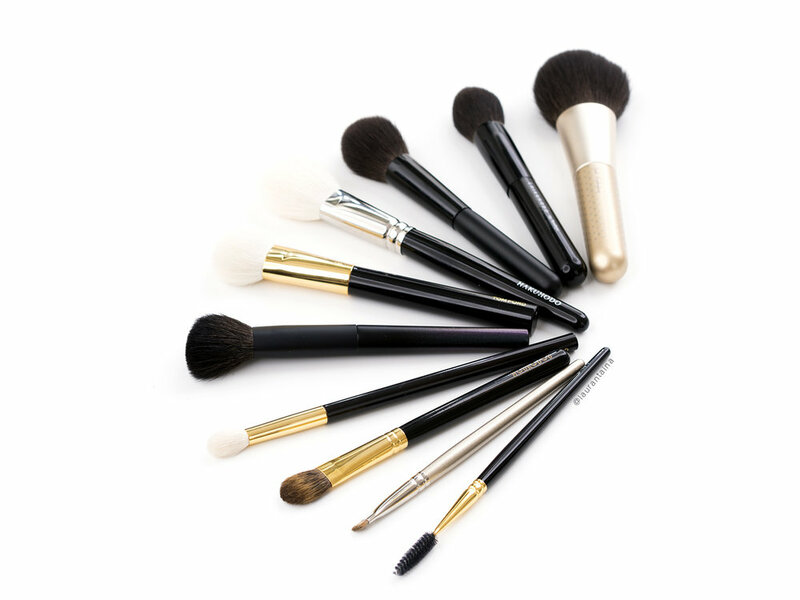 Which brush are you loving right now?